Go old school in this timeless League® Dayton Arched Twisted Triblend Long Sleeve T-Shirt. The long sleeve, retro-inspired t-shirt features a twisted mix of fabrics for a super soft feel, an enzyme washthat adds weight, smoothes out the fabric and gives it a vintage color, and a classic crewneck. 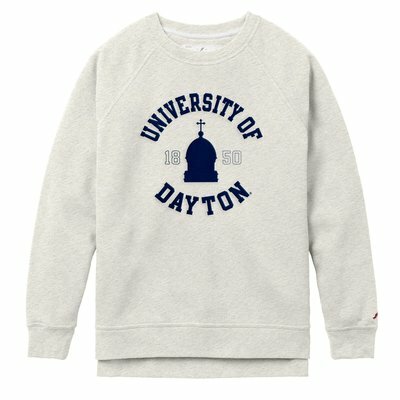 Show school pride with the arched Dayton printed in a tonal color on the front. This vintage inspired League® Dayton Block Outline Victory Falls T-Shirt is our most popular fit, redesigned in a reverse dye fabric. Made in our luxurious triblend jersey, this tee is a new way to show off classic style. The freshest take on the most iconic style. 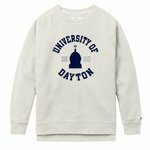 This League® Dayton Flyers Stadium Crew Sweatshirt is made from a cotton rich fleece with classic details such as crossgram side panels and a V notch neck stitch. This style leaves an impression with its look and feel. 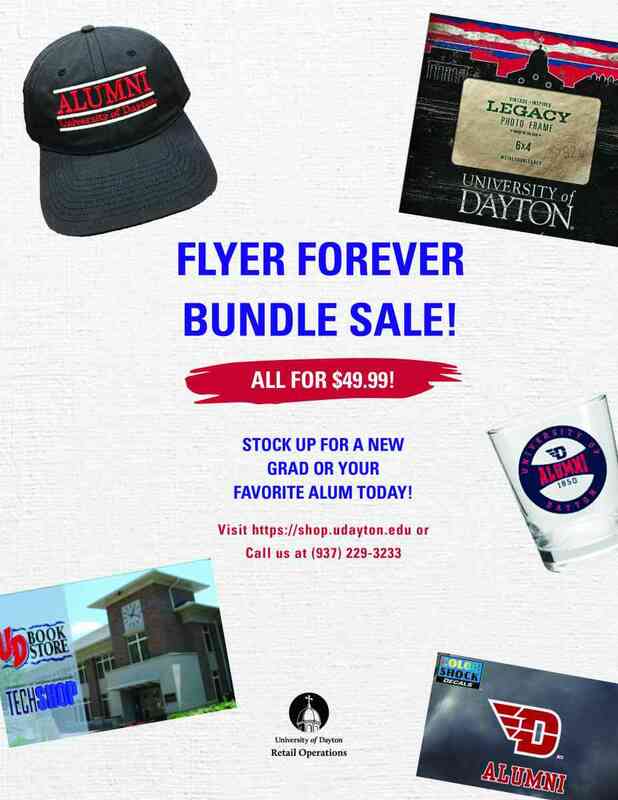 Embroidered Dayton Flyers logo across the chest. Ready to hit the gym or go out on a hot day? This sleeveless tee is PERFECT for you! This UD top will keep you cool while looking good in the hot weather.